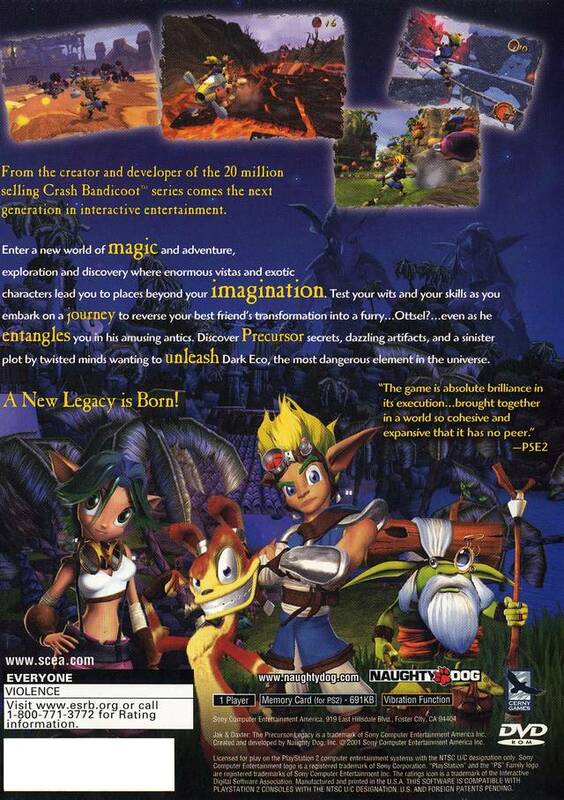 A new world of magic, adventure, exploration, and discovery awaits you in Jak & Daxter: The Precursor Legacy. 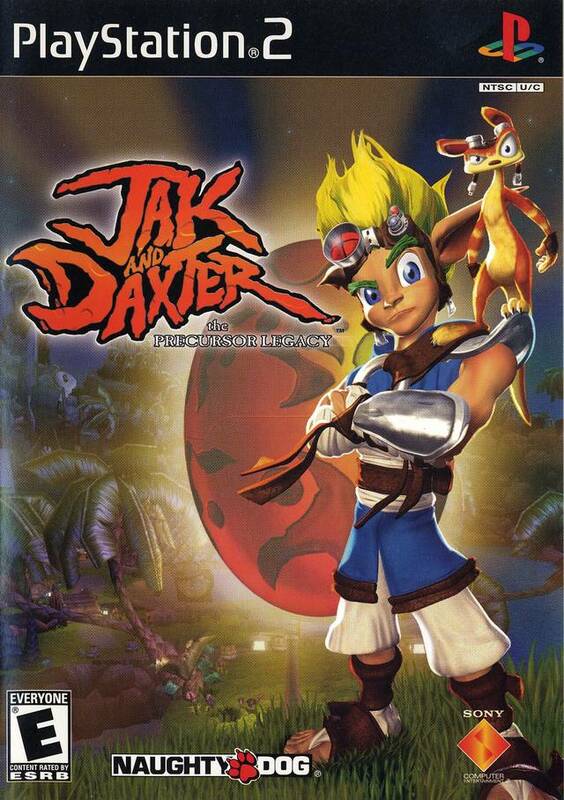 A magical substance called Dark Eco transforms Daxter into a furry Ottsel, so Jak and his rodent friend Daxter go on a journey to look for a cure. 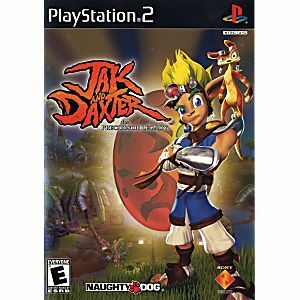 Jak and Daxter's world is filled with all kinds of the mysterious element known as Eco. Races, a collection of minigames, enemy chases and timed events are all part of the gameplay. You'll solve puzzles, collect power cells, meet exotic characters, and battle sinister enemies in enormous vistas. Discover the story behind the mysterious Eco and unleash the hero within. Always a great game! The camera controls are kind of terrible, but hey, the characters and gameplay are well worth it! Even though mine is a used copy, it came in with no damage, and appeared to be new other than the opened case and bargain stickers on it. Always a pleasure, Lukie Games! Game works flawless and is in great condition. It's nice to finally go back and play it again. Not only is the game in excellent shape the shipping was super fast! I am totally addicted to this game! One of the best games in the franchise in my opinion, especially the snow level. Game was in good condition, complete. I recommend this site. Great to have found you. My son still has an old PS2 and it is not easy to find these games. Great job! Jak and Daxter isn't perfect. I can tell you that. However, the issues you will have can be balanced by the ridiculous amounts of fun you'll have playing the game. Collecting stuff, while not always useful, is legitimately satisfying and enjoyable. There are 2,000 precursor orbs and 101 power cells to collect throughout the game, but you won't need all of them by any means. However, you'll want to get them. Why? Because it's fun! This game is a blast to complete 100%, and it's never too overwhelming or hard. Plus, it's short and sweet. This gives it very high replay value. However, not all levels are fun and refilling your health can be a pain at times. But even then, the game is still a blast. If you have a Playstation 2, GET THIS GAME. You will not regret it. This game is a classic for ps2! It came in great condition. Seriously, no scratches! Thanks Lukie Games! Great. Disc looked amazing happy there was a poster. WELL worth the little money. I owned this game when I was younger and I really wanted it again to finish it. It's a funny game but can be challenging in some parts. You only get 3 hits and you're dead. Thank goodness they changed that up in the next games of the series. If you plan on getting the next Jak games defiantly don't skip this one, you'll miss out on him being sweet and innocent. My copy came in quickly and it had everything in great condition! I always watched my brother play this game. Awesome, and super fun. I would recommend it.